A very popular European perennial vegetable, sorrel is revered for its lemony flavour. The young leaves are used raw in salads and cooked into delicious soups. 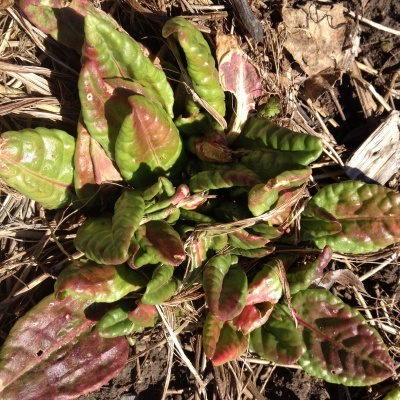 It readily self-sows and can become weedy; clip off the flower stalks to prevent this (and to keep the leaves tender for longer) We carry common garden sorrel, as well as an excellent seedless variety that extends the season by months.